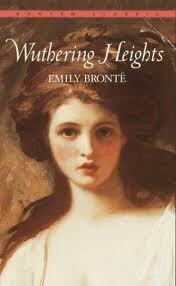 Emily Brontë’s novel “Wuthering Heights” has influenced Jim Steinman’s 1989 song “It’s All Coming Back to Me Now” in a rather uncustomary way. Steinman compared his work to “Heights” character Heathcliff digging up the corpse of Catherine Earnshaw, a foster sister whom he loved, and dancing with it in the moonlight. Expressing his belief that one cannot get more passionate than Heathcliff was in the deathly moment, Steinman once remarked that he was seeking through the high-ranking Billboard power ballad to convey that sense of being obsessed, even “enslaved,” by love. At the 2013 Utah Republican Party Organizing Convention on May 18, no one is believed to have removed any decadent bodies from their resting place nor creatively moved with them. But the proceedings of the event sure invoked memories of conventions and legislation gone by (and certainly did feature plenty of passion—and certainly Love). Sure, there were landmarks. James Evans became the first African-American GOP chairman in the state’s history. A resolution passed for the party to officially request that the United States Congress find “reasonable” and “responsible” solutions to issues of illegal immigration (though that was an expression already reflecting the sentiments of the national GOP). Otherwise, familiar legislation and individuals, well, resurfaced—in forms of mild surprises at most. Perhaps a discord with the faith presumably of most of the delegates was most unanticipated. Many pundits were right: the threshold for the party’s nominee in election years stayed at 60 percent of state delegate votes. Despite a plea during the convention from former U.S. Congresswoman Enid Greene to raise the threshold to 66 percent, 55 percent of this convention’s body voted otherwise. Greene said that the party never should have lowered the minimum requirement from 70 percent in 2000. That requirement does, after all, invite a nominee who garners more solid support from those who have promised to represent their own electors in their precinct. Even then, opponents to the change would need to tolerate just five additional primary races from 2000-2012. Additionally, a “yes” vote for the measure may have actually helped to preserve the system, because now Count My Vote begins its march in earnest. The initiative, led by former Utah Gov. Michael Leavitt and Utah Policy and Utah Pulse publisher LaVarr Webb, seeks to reform the system, seeking to implement a more “inclusive” and “accessible” process by which all voters can select a nominee during caucuses. Evans headlined the elections of a new state party leadership team, filled out by former Washington County party chairman Willie Billings (vice president), Michelle Mumford (secretary) and Dave Crittenden (treasurer). Despite a spirited and diligent campaign from Wasatch County GOP chair Aaron Gabrielson that campaign manager Michael Melendez said featured volunteers found all over the political scale, he and Utah Republican Hispanic Assembly chair Marco Diaz managed only about one-third of the overall vote. It proved that Evans may not have had a stronghold not just on the mainstream sentiments of the party, as Gabrielson said he feared was true. Evans also had that influence on the delegation—regardless of their policies. Evans said after his election that he merely stared in silence at reporters who asked him about being the state’s first African-American GOP chairman, emphasizing that he wanted to look past “label” politics. But some media reports, including the Salt Lake Tribune article, included the fact nonetheless—something Evans said he expected would happen. Billings found himself in a run-off against Rick Votaw after eliminating Lowell Nelson, the interim Utah coordinator for the national organization Campaign for Liberty. Yet, he took about 65 percent of the vote in the second vote despite branding himself as someone who wanted to apply several new ideas to party administration, despite being the vice president. Votaw, however, emphasized again in his run-off speech that he simply wanted to do the will of the chairman. It was surprising that Kristen Cannon Brown garnered just 15 percent of the delegate’s vote against Mumford, given her professional background and comparative family life situation. Brown was a former Reagan administration intern and investment banking copywriter in New York who, unlike Mumford, featured a campaign ad in the Organizing Convention booklet that all delegates received. She also is left with just one child, a BYU student, living at home, having made domestic motherhood her focus after having her first child. Mumford, a former attorney, currently oversees six children at home. Cherilyn Eagar had her day. The Eagle Forum public relations manager submitted the third and fourth resolutions of the day: a Resolution on Medicaid Expansion and the Patient Protection and Affordable Care Act (commonly known as “Obamacare”) and another on the Common Core Standards and Assessments. Each called on Utah Governor Gary Herbert with the state legislature to take action against each program. Both passed—the latter with 65 percent of the vote. The first asks Herbert and the legislature to reject Medicaid expansion and calls on the Utah Congressional delegation to continue to support and pass federal legislation to defund and repeal Obamacare. The problem is that the Herbert administration has already put in the work to operate their own plan (Avenue H, for small businesses) in accordance with Obamacare (as an exchange for individual citizens). They did it because the Utah legislature during the 2013 general session refused to give him permission to update Avenue H to be fully compliant with the Affordable Care Act (ACA) standards—which would have allowed it to also cover individuals. Without that approval from legislature, this deal is probably the best the governor could get. To make true resolution, then, Eagar really ought to talk to the body that gave Gov. Herbert nothing but a bite from the bad part of the sandwich. The Resolution on Common Core Standards and Assessments specifically called on the governor and the state school board to withdraw from the Core’s state standards initiative and “any other alliance that promotes and tests for un-American and inferior, curricula, standards and assessments.” It also asked the state legislature to discontinue any funding programs in association with the Core. Currently, the State of Utah may remove themselves from the standards—but Congressman Rob Bishop (UT-1) testified that the Obama administration wanted to use the program to “hook” states into federal funding, which would then not allow the state to abandon the Core. The U.S. president made his intentions of a national education program clear in his most recent State of the Union address, Bishop said. The 11-year U.S. House member’s testimony may have figured into the strong vote in favor of Eagar’s resolution. The 2013 Immigration and Inclusion Resolution, submitted by Diaz, calls on Congress to “find reasonable and responsible solutions to the issues of legal and illegal immigration in a manner that secures our borders and allows undocumented immigrants who are already here, who meet certain requirements, to square themselves with the law.” That passed without a problem—a positive move toward a policy that the party nationally understands it must embrace if it wants to maintain its social values. What did the resolution seek to do? Cause the Utah GOP to officially support the Compact. That’s all. The delegates wholly weren’t quite there, however, as 51.2 percent of the delegates opposed it. The rejection invited what may be the largest surprise from the convention. The Church of Jesus Christ of Latter-day Saints has stated that it “supports” the “principles“ of the set of guidelines. It has said that it “regards the declaration of the Utah Compact as a responsible approach to the urgent challenge of immigration reform” because of its loving sentiments and encouragement of strengthening families. The delegation is, assumedly, primarily members of the faith. Latter-day Saints reportedly comprise 62 percent of Utah’s population. Mia Love officially declaring that she would once again challenge Democrat Jim Matheson for his U.S. Congressional seat in Utah’s 4th district. When did anyone in the media first report this? 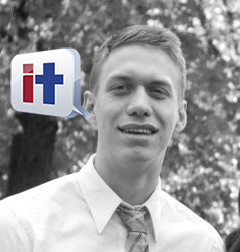 Rhett Wilkinson is a senior at Utah State University studying journalism/communications and political science. A co-founder of Aggie BluePrint—USU’s first student magazine—he has worked as an intern in Congressional and Gubernatorial offices and as a correspondent for the Deseret News and Standard-Examiner. So why would a senior at Utah State University studying journalism/communications and political science block a guy like me from his Twitter account the first time I posted a reply to one of his tweets? What’s that about, Rhett? I apologize–I have not blocked you. I do not know what has happened… please let me know your Twitter handle, and I will follow you. “square themselves with the law” was deleted from Marco’s resolution as a friendly amendment. The Caucus System in Utah is the best way to make sure a grass roots process can work over large amounts of money. It is the only way someone with $100,000 can go against someone with $2,000,000 in election funds. We have a system that that does NOT favor the incumbent, wealthy or famous. This is a good thing. Neighbors discussing the best candidates and finding ways to improve this state and nation. That is being proposed to be removed from the neighborhood caucus meeting. Dropping off our votes but not discussing. That is what is wrong with Washington DC. They don’t listen to each other in a meeting. They watch from their offices. We need to change that not follow it. Perhaps the Count My Vote group should go watch WALL-E from Pixar again, the people on the spaceship. We are talking neighborhood town halls. We aren’t just meeting to elect delegates. We believe the Count My Vote / Buy My Vote group would ruin that. I wonder if the incumbents aren’t being protected enough in the current system? The threshold is a two way sword. An 85/15 would make it easier for a weak challenger to get to a primary, but impossible to eliminate the incumbent. That was the Count My Vote / Buy My Vote request originally. Added to that the eliminating any kind of multiple round and you could have 6 candidates in the primary, one of which would always be the incumbent. They couldn’t get 85/15, so they next tried 75/25. Almost impossible for an incumbent not to get 25% and make it to a primary. Yes, the incumbent is going to have a harder time getting 75%, but if the goal is more primaries that cost more money, it is one step closer to buy my vote. Add the elimination of the multiple round and you could get 3 or 4 candidates going to the primary. 70/30 allows up to 3 and again makes it harder to eliminate an incumbent. Yes, the goal of 60/40 may have been to help the incumbents, but after Jason Chaffetz almost won in convention and Bennett and Gov. Walker, those that wanted to protect the incumbents realized they made a mistake and many for years have wanted to switch it back. Two legislators were eliminated at convention this year. And yes, we still have some primaries, but not as many. Yes a 2/3 would have made even more primaries, but the risk of an incumbent losing, or someone rich or famous losing would also go down. The current system does not protect the incumbent, wealthy or famous. I think that is a good thing. With 44 races at state and congressional levels 30 were contested and 15 went to primary. Moving 5 more races to primary would raise the level from 50 percent contested races to 2/3 going to primary. 1/3 more contested races would go to primary. Most of the legislative and other races are in counties that also have a 60% threshold. If that would change it effect many many races. How many of those five races do you feel would have changed the candidate who was selected, though? 5 out out 15 is a high percentage. How many outcomes of those five do you think would have been changed? It was good to see you at the convention and to know of your ongoing pursuits. I just wanted to make a correction. I’m not the Eagle Forum leader, but I do assist with PR/media. However, I am the Utah coordinator for the Association of American Physicians and Surgeons. During the legislative session I spent the majority of my time following the Medicaid expansion bills, and I testified against them in some of the hearings on behalf of AAPS. With regard to Common Core, my state PAC – American Leadership Fund (which is not affiliated with AAPS or Eagle Forum) – was responsible for the pre-convention and floor activity that day on behalf of Utahns Against Common Core. Eagle Forum and a slew of other conservative groups are involved in a coalition that focus on education issues, of which Common Core is one. Gayle Ruzicka is the Utah Eagle Forum leader and am a bit embarrassed to have been credited incorrectly. It was great to see you as well. Thank you for the comment. I appreciate being told about the variety of groups you are associated with. That’s enlightening for me. I apologize for associating you as “the Eagle Forum leader.” I’ll ask that this be changed.